Avast Antivirus is the best free antivirus software and internet security applications developed by Avast Software for Microsoft Windows, macOS and Android. It can scan the entire system and allow you to remove the virus infected data permanently. However, every coin has two sides, it may cause the deletion of important files that are infected with virus. To know how to recover files deleted by Avast Antivirus, following this article, we will provide two effective solutions for you on how to restore deleted files by Avast antivirus software. Many users who lost files due to virus attack reports that they successfully retrieve files from Avast Virus Chest. So, if you happened to face a similar situation. 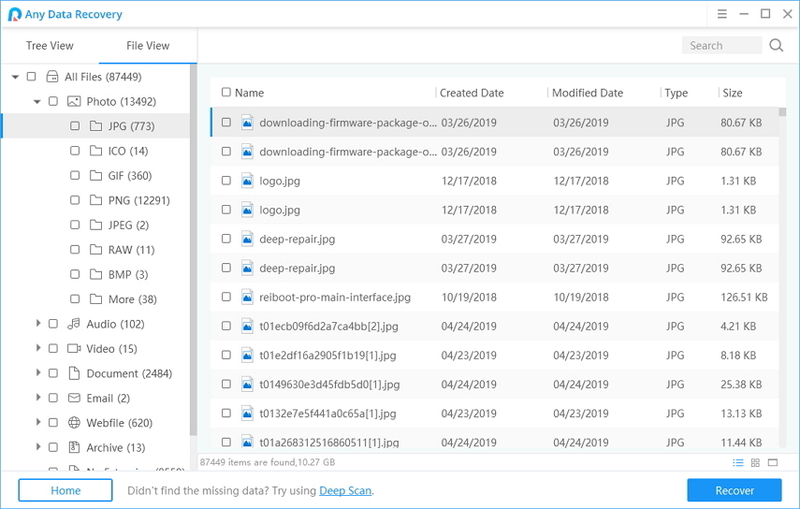 The following tutorial shows you how to recover deleted files by extracting files from the Virus Chest to a specified location. Now you can go through the procedure as follows. Step 1: To open the Virus Chest, right-click on the Avast icon and select the option "Open Avast user interface" from the menu. Step 4: In the popup box, select the "Extract..." option from context menu. Step 5: In the following window, select a file location for the file saving and hit OK. Close the window, you can find the recovered file in the right place. Some people find it's difficult to apply the solution above, and want to know "how do I retrieve files from Avast antivirus". Here, we give users the other choice – using third-party data recovery software - Any Data Recovery Pro, which is simpler to handle but with higher chances of successful recovery. Any Data Recovery is the most desired application that is recommended by computer experts when there is a need to recover files that were deleted by Avast Antivirus program. This utility is designed with best list of options that makes sure recovery process of files deleted by Avast Antivirus is carried out without missing even a single file. Step 1: Download and install Any Data Recovery application to your computer. As soon as the installation gets completed, launch the program. 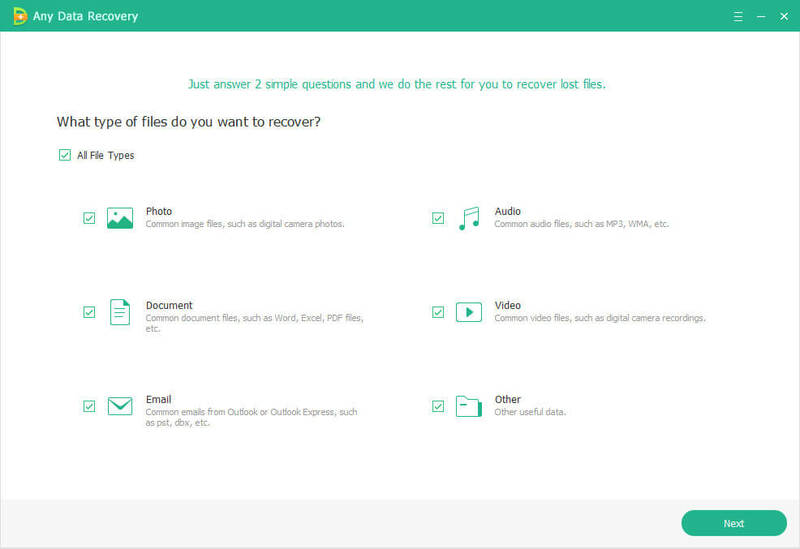 Step 2: Select the file types you'd like to recover and click on Next button to proceed. Step 3: Now you need to choose a location and hit Scan to scan deleted files. Step 4: After scan completed, you can preview all the listed recoverable files by path, time. After that, check the files and click on Recover to get them back, then choose a location to save the recovered files properly. Note: Do not save the data to the place where your lost data used to locate in case that the recovered data get overwritten. Any Data Recovery Pro offers a professional solution to solve your data loss trouble on Windows 10/8.1/8/7, so you can recover files deleted by Avast antivirus. If you have any question, you are welcomed to leave it under the comment section.